Normally, I do not rave about doctors. But Dr. Wong is one of the best doctor I've seen in my life.He was very detailed in his explanation of my injury and drew on his experience as an avid runner himself to reinforce his explanation. Dr. Wong spend time to look at my injury, he was very professional and courteous with me. I would definitely recommend him to anyone who is seeking the top of the line treatment or evaluation for his/her foot. Normally, I do not rave about doctors. But Dr. Wong is one of the best doctor I've seen in my life. He was very detailed in his explanation of my injuryand drew on his experience as an avid runner himself to reinforce his explanation. Dr. Wong spend time to look at my injury, he was very professional and courteous with me. I would definitely recommend him to anyone who is seeking the top of the line treatment or evaluation for his/her foot. Dr, Wong is personable with a great bedside manner. I appreciated that he spent the time getting to know me anddiagnosing my issue. He also clearly explained my treatment. I'm very happy with my appointment. Dr, Wong is personable with a great bedside manner. I appreciated that he spent the time getting to know me and diagnosing my issue. He also clearly explained my treatment. I'mvery happy with my appointment. Dr. Wong has practiced for over 20 years and has earned a reputation for excellent care. He is extensively trained in all aspects of foot surgery including bunion and hammertoes and employs the latest advances in podiatry in the treatment of all foot conditions. As a dedicated runner (over 50 marathons), Dr. Wong has a personal interest in athletics and sports medicine. He is dedicated to providing comprehensive care of the foot and ankle, whether trauma from sports injuries, ankle sprains, plantar fasciitis, heel pain, ingrown toe nails, corns, calluses, and warts. He also makes custom foot orthotics/inserts employing 3-D technology/plaster casts. Dr. Wong explained everything I needed to know about my predicament patiently and thoroughly. I informed him my last visit with a different podiatrist was very painful. He was understanding and assured me I would feel no pain-alas I didn’t!Ladies at the front desk were very nice and wait time was under 5 minutes. Very professional and thorough. Does not rush you or give you any unnecessary treatments. Super personable and knowledgeable. Would recommend. Dr. Wong was extremely thorough in walking me through both the diagnosis and prognosis of my particular issue. He took the time to explain the causes, how to mitigate the issue and going forward as well as a detailed description ofthe mechanics of the feet. I highly recommend Dr. Wong to anyone experiencing any type of foot pain. Amazing doctor! Super informative and took the time to explain everything and even help research best products to get on amazon. Helpful with navigating the world of health insurance / reimbursements / coverage / etc. in his words, he "treatspatients like I would treat my parents, and I get along with my parents". Highly recommend. Dr. Wong was very professional and knowledgeable about everything that was going with my foot problem. He recommend a course of treatment options that include therapy to start. I will definitely continue to see Dr. Wong for my heel spur syndrome.Excellent patient care, patience and understanding of your medical issues. Very professional, heard all my symptoms and then addressed each one. Very capable professional physician. Treated the pain fitted me for orthotics very happy with the dianosis and treatment. Excellent podiatrist! Incredible bedside manner and super informative. I highly recommend this doc. I've had a variety of podiatrists in the past but they don't even come close to the care and service that I've received from Dr.Wong. There needs to be more doctors like Dr. Wong! He truly listens, evaluates, and takes his time recommending the best recovery process. I highly recommend Dr. Wong for anyone with a foot/ankle injury. He was extremely personable and professional, taking extra time to make sure that he fully understood my injury and then walk me through his diagnosis and thoughts on next steps.I felt like he was truly invested in my recovery and what was best for my particular case. He also makes himself very accessible in terms of scheduling and follow up, which is rare in healthcare today. I just moved to NYC and found Dr. Wong through Zocdoc. I highly recommend him. He is very patient and takes his time with you. He explains everything very clearly and has a great understanding of what he is talking about. Dr. Wong was perfect for issue I was having as a marathon runner. All of the recommendation was exactly what i needed to know and get better. Great appointment with Dr. Wong. He is friendly, knowledgable and thorough. Highly recommend. I learn SO much from Dr. Wong. As a runner, now training for my 4th marathon, I wish I had known Dr. Wong 5 years ago when I started training. He really understands biomechanics and all the potential issues long distancerunners face with anything related to their feet. Trust him! Very informative and friendly--highly recommend! I enjoyed my visit today! Dr. Wong was very personable, friendly, professional and thorough. I didn’t feel rushed through the appointment; he really took his time to explain everything to me and make specific recommendations based on my needs.I could tell he enjoys his work and truly cares about his patients. Dr. Wong is an awesome doctor! Very attentive and a problem solver. Highly recommend. Dr. Wong was incredibly helpful and professional. He clearly outlined a treatment plan. I would highly recommend him. Dr. Wong was so kind — easily one of the best doctors I have ever even seen before! If you’re looking for an orthopedic doctor than look no further as Dr. Wong is exceptional! Dr Wong was very knowledgeable and professional. He was able to remove this inch long wooden splinter I had embedded in my left foot for two months. I can walk, I can dance again without pain. Thank you so much. I highly recommend Dr Wong. Dr Wong was very thorough and took his time to explain everything. Would highly recommend. I felt as though I was listened to and Dr. Wong was interested in my well being and very knowledgeable. He offered tons of feedback. Dr. Wong is polite and easy to get along with. He listens and communicates well. I was seen promptly and didn't feel rushed at any point. Very personable and assuring! When I was worried about not being able to keep walking because my feet hurt too much, Dr. Wong discussed long-term solutions and made sure I left my appointment with effective immediate solutions, which helped me survive the weekend. Thank you, Dr. Wong!! Highly Recommend**Excellent, comprehensive examination & explanation, informative, professional & personable. Dr. Wong is friendly and frank. Highly recommended! Examination comprehensive. I left with viable knowledge about how my feet relate to the workings of the rest of my body. I felt more informed about my healthcare and better prepared to manage it correctly, effectively going forward. 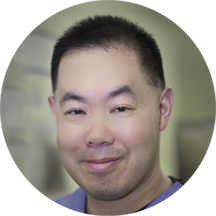 Dr. Wong has great bedside manner and explains everything very well and in detail. He provided the options available to help relieve my plantar fasciitis heel pain. Always helpful. I love Dr. Wong’s one on one attention. Doctor Wong is very understanding to me and all of my concerns. 5 stars podiatrist in the city. I suffer from foot neuroma and the #1 podiatrist on my speed dial is Doctor Winston Wong. I have had good visits with Dr. Wong, but in this case he did not do the follow-up to which he committed, and he did not return my phone call when I was trying to find out what was going on.I hope that nothing bad has happened to him or his practice. Meanwhile, however, I have to find another doctor so that I can get the care I need. Bed side manner was excellent. An expert in his profession. Nothing negative to say other then he is a professional. doctor winston wong is a great doctor. Dr. Wong was thorough and was able to identify the issues right away. He answered all of my questions and was very helpful. Working in healthcare for fifteen years, this is one of the best experiences I had with a doctor in a long time. He loves what he does and has an excellent bedside manner. Skill is easier to come by than compassionand personality. Dr Wong gets all of them right. Dr. Wong is the man!! Professional, personable, friendly, really knowledgeable and gave me the best solutions for treatment. Highly recommend him.